In the heart of Italy, a new rhythm beats... it is the driving force of innovation which will transform the future of commercial transportation. 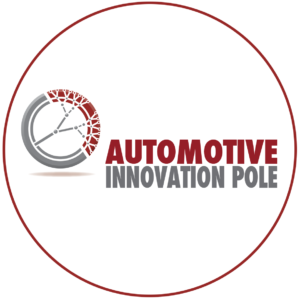 The Automotive Innovation Programme started in 2008. It is a large and structured strategic initiative which sees to involve automotive and engineering companies, specialising in commercial transport and vehicles. Since 2008, the Innovation Automotive Programme started which planning integration between companies, universities, research centers, schools and public agencies. 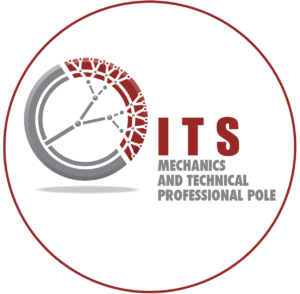 The program is carried out through the organisation of the production supply chain (the Automotive Innovation Pole) and the training sector (ITS - Technical High School and the Technical Vocational Pole). 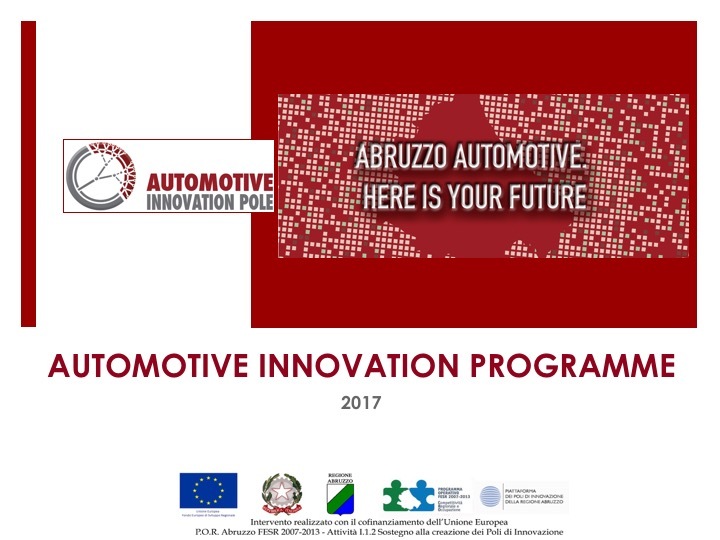 The automotive firms chain in Abruzzo Region consists of a group of globalized firms, both IMs and SMEs (SEVEL-FCA, HONDA, Denso, Pilkington, Dayco, Honeywell, Pierburg, Tyco, IMM, Tecnomatic, Walter Tosto, etc.) operating in the automotive and mechanics field. In economic terms, the automotive business system employs some 25/30,000 employees, only in province of Chieti, and it represents between 7 and 8 billion euros of turnover: about 40% is exported. The automotive system in Abruzzo is particularly specialized in the production of light commercial and professional vehicles (two/four-wheel, for passengers and freight). In the region is localised the Europe's largest plant for the production of light commercial vehicles (SEVEL with a production capacity of 300,000 trucks per year, 6200-6500 direct employees and about 4,500 in related activities in Abruzzo) and one of the largest plant in Europe for the production of scooters and motorcycles (Honda has a production capacity of 200,000 motorcycles per year, and about 800-900 direct employees and 1600-1800 in related activities in Abruzzo); in addition to these in the area are operating other multinational companies for production of automotive components. The globalization and the harder competition impose to increase the value and productivity by creating integrated systems and business cooperation to face the "migration" of opportunity. Organization of business processes to increase efficiency (eg: creation of integrated chain excellence for “integration product / process”).